If It’s Written Too Quickly, It Can’t Be Good, Right? To those coming down on people who can turn out the written word very quickly, don’t be too quick to judge or be jealous. Writers on television shows often crank out between six and twenty-four episodes a year (some are even watchable!) from script to screen; why is it so hard to imagine that any writer couldn’t do the same? Here’s where we’re going with this (from my post on a thread over at Dark Media City). 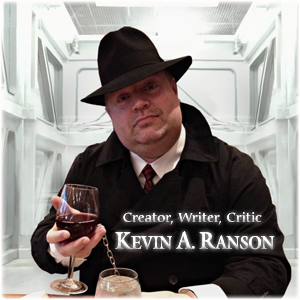 Besides the thirteen-plus years I’ve spent honing a narrative voice writing reviews as a film critic, the series I myself am working on right now was born of a tabletop role-playing game that created the seed of a larger idea. It was far-fetched overall, but having a large yet fuzzy canvas to start with, it was simpler to weed out what made no sense and distill a huge mural into a firm, focused Polaroid of an idea that lent itself to creating plot. With the main character and his world years in the making and an over-arcing story in place, writing the first book felt more freeing than like actual work: the initial draft poured out of me in a week. When I went to work on the second one, it took four days. Keep in mind that these are 7k-10k stories more the length and feel of a television show than a feature-length film. What I think I’m trying to say is (after that ramble) that the actual writing didn’t take so long as the time it took to prepare to do it. As I continue now writing and tweaking plot outlines to help keep facts straight and ensure a comfortable flow, I can’t wait to write the next one because I LOVE having that feeling. My only other hope is to find an audience for it that appreciates my creation as much as I have creating it, but fulfillment in its realization (after all this time) is already mine.